SINGAPORE (Reuters) - Singapore's Tiger Airways Holdings said it would be replacing its CEO with an executive from its largest shareholder, Singapore Airlines (SIA), days after the budget carrier reported a big widening in its losses. 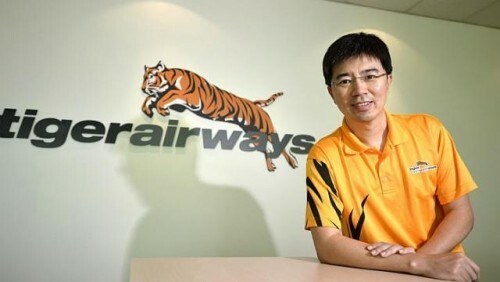 Lee Lik Hsin, a 20-year veteran of SIA, which owns 40 per cent of Tiger, will become chief executive from May 12, replacing Koay Peng Yen who joined Tiger less than two years ago, Tiger said in a statement on Wednesday. "Tigerair Singapore, which had been growing at the rate of 30 percent in the past 3 years, hit turbulence when the market sagged in mid-2013 through the imbalance of capacity and demand," Tiger said. "Nonetheless by the time of Mr Koay's departure, Tigerair Singapore had started the process of consolidating its services in preparation for a decisive turnaround in its prospects." Tiger's shares have declined nearly 40 per cent over the past year and are trading near a record low. It reported a net loss of $95.5 million in the quarter ending March, up from a loss of $15.4 million a year ago for the same period.